Time stops! Wherever I am. Whatever country I am in. For shoes. 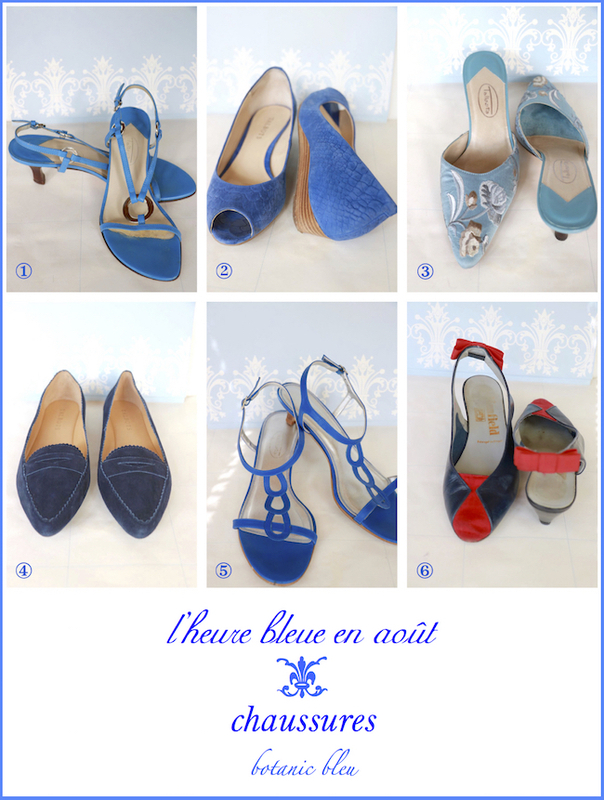 If there are blue shoes, count on being there for more than an l'heure bleue instant. 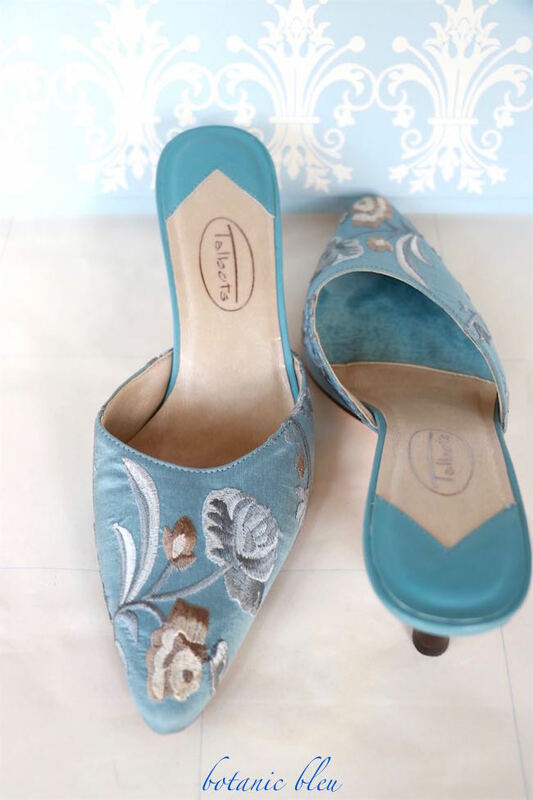 While all shades of bleu shoes make my top ten list, numbers 1, 2, and 5 are the blues that are almost guaranteed to LEAP into my hands and onto my feet. The names of the blue colors alone are enough to send me into a misted-over glazed moment lost in time. I do have a cardinal rule, however. If shoes are not comfortable when I try them on, no matter how beautiful they are, I do not buy them. Too many hours standing on my feet teaching math, doing outside bus duty, monitoring students during fire drills, walking to the baseball field daily to get first week attendance counts, and walking up and down stairs in the largest high school in Texas under one roof (during the late 1990s). There are so many stories these shoes could tell, but only two, make that three, will be told today. Blue Multi shoes #3 were the shoes I wore to my retirement-from-education luncheon at the Mansion Hotel Restaurant in Dallas. Twelve of my closest colleagues who had major influences in my teaching and administration career celebrated this milestone event in my life with me and these shoes. Yes, these shoes fit right in at the Mansion. 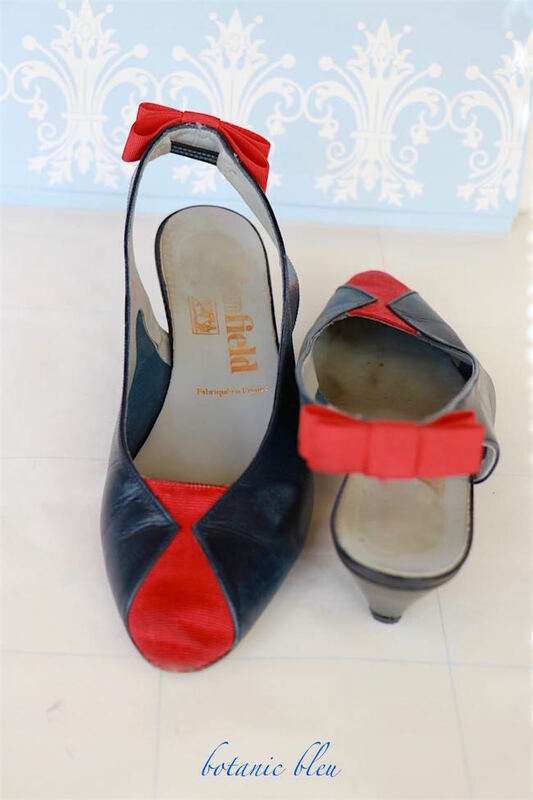 Navy shoes (with little red grosgrain ribbon bows) #6 came from Lyon, France one summer while chaperoning students. It was legendary among all the other chaperones, and as a result, their students, that I would buy at least one pair of shoes while in Europe each summer. That's not the story being told today. Teaching precalculus honors to incredibly bright students each year was one of my favorite courses to teach, but it was hard work finding just the right words and examples, and making sure all of the necessary foundation facts and concepts were in place before introducing the next major concept. Students were focused, intensely engaged, and took diligent notes during each day's lessons. Some times the lesson required a lot of background information. One day after a several minutes of intense explanation of a rather difficult concept, just as I was getting to the final step, a bright young seventeen-year-old male raised his hand to ask a question. All eyes went to him as I said, "You have a question," thinking he needed more information before proceeding. Everyone waited for his question. "Ms. Stringham, did those shoes come with those red bows or did you paste them on yourself?" Silence for a moment, and then the room filled with laughter from all of us. I could barely answer from laughing so hard, "The shoes came with the red bows." Bright Batik Blue shoes #6 are my all-time favorite ones. 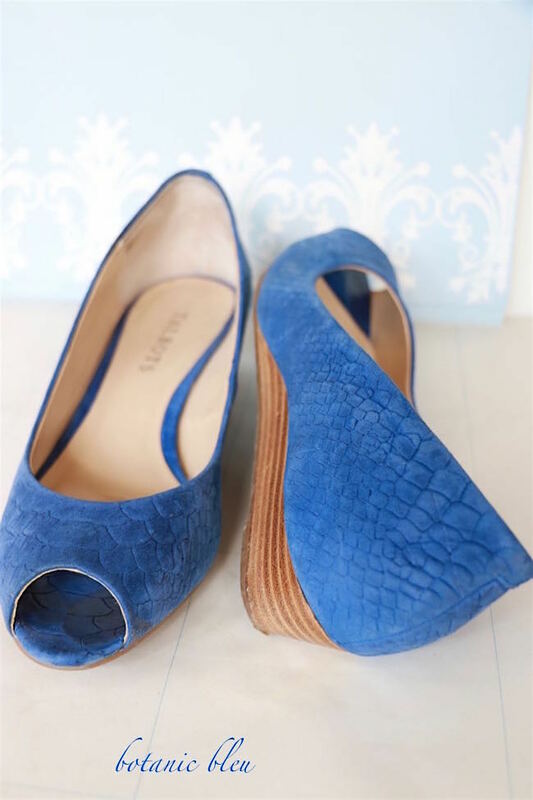 Such a beautiful bleu color, a soft textured suede, a barely-there wedge heel, an open toe, and so comfortable to wear make these shoes my favorites. Do you have a favorite, #1-6? Shoes are one of my passions, and whenever I find a virtual pair on the internet I love, I pin it to my Pinterest board, Shoes. Tra-la, I'm off to Paris to buy more shoes. My sister is going, too, but shoes are not her thing. pre-scheduled posts will continue while I shop for shoes in Paris. alas, I will not be able to respond to comments until I return. Leave your comments anyway so I know which shoes are your favorites. Maybe, just maybe, there will be an Instagram photo from Paris. I am just learning Instagram. just in case there are Paris photos. Oh, give me bleu, BLEU any day, in any shade. I do prefer for myself in the summer, AQUA. For the cooler months, the cobalt. Yesterday I went to one of my favorite flower shoppes in St. Paul and the proprietor was kind enough to allow me to take photos of her amazing shoppe. I caught a shot of a perfect blue hydrangea and the color is just sensational. I'll put it on my Instagram. So I LOVE #3 the retirement luncheon shoes. Very pretty and you know I don't have a favorite pair of shoes anymore - well maybe my Swedish clogs because they're timeless and so comfy. I also fell in love with the bright batik blue shoes. Gorgeous color, plus they look so comfortable. It's all about comfort for me and I find Clark's shoes to be the perfect fit for me. I love shoes - at one time I had more than 130 pairs - 14 pairs of Converse I wore to school in my position as Activities Director. In that 130 pairs were 3 pairs of blue sued shoes! Today I live in flip flops and I hate to tell you how many pairs I have! Have fun shopping in Paris. Judith some of these are so gorgeous they deserve to be called works of art. Cute shoes and cute story. I come to you from right around the corner from that big H.S. Have a wonderful trip! I can't wait to hear all about it. Shoes have always been a "thing," for myself, daughters and my Mom. Maybe someday we will have the opportunity to shoe shop together. In the meantime I choose #5.